As a transplant nephrologist, I specialize in kidney and pancreas transplantation, where I provide long-term care to my patients. In addition to overseeing transplant function, I work to preserve my patients’ general health so they can live longer, healthier lives. I am always striving to maintain mutually trusting relationships with my patients and their families. I believe in developing strong relationships with my patients in order to understand the nuances of their health issues. The majority of the patients that I see have several co-morbid conditions and their long-term wellbeing is heavily dependent on the understanding of their conditions and adhering to their treatment plans. I find it incredibly fulfilling to see my patients return to healthy, productive and independent lives after successful transplants. 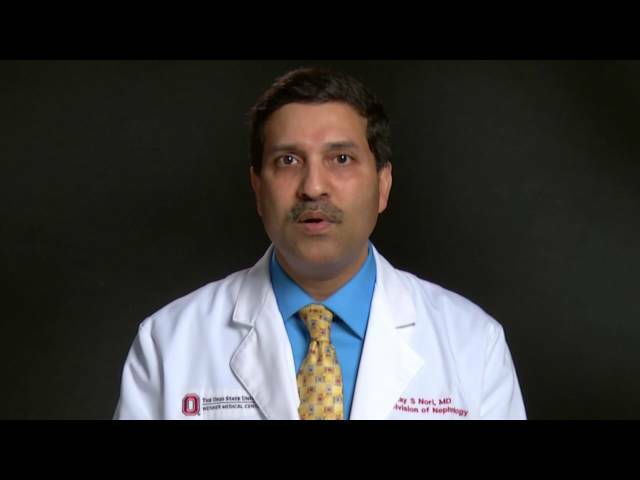 Ohio State has one of the largest kidney transplant centers in the nation and I enjoy working with all of the excellent transplant physicians here. I also appreciate the many opportunities I’ve had over the years to build a career in education, research and administration, in addition to clinical work. When I’m not working, I like to spend time reading, relaxing with my family and enjoying the outdoors. Very good. He listens & shares info. Even asked if I had additional questions. Dr. Nori is an excellent provider! Extremely knowledgeable & very personable. Dr Nori has cared for me since my transplant in 2015. He demonstrates the highest possible level of care. Helped me through some tough complications initially. Inspires confidence. Takes time to address all your concerns/questions and make sure you understand your treatment plan before leaving. No bad experience he is willing to talk very nice. He has improved from my past apts. He actually listened and tried to help with my current situations. Dr. Nori is very well liked & respected & I would highly recommend. As of 12/20/2018, Dr. Nori has reported no relationships with companies or entities.